Can we talk about your MRR for a sec? If you’re like most founders I coach inside SaaS Academy, chances are you: Obsess about growing it Overcomplicate how to do it Truth is, if you’re experiencing a plateau in your MRR, it probably has much less to do with your company’s growth potential, and everything to do with how you’re over-complicating the process of tapping into it. In this week’s episode, I cover the 6 things you can do TODAY to increase your MRR and set yourself up to toast to a record-breaking ARR in 2019. Exclusive Download: Precision Scorecard™ – Keep Your Leadership Team Focused & Accountable To Growth At a high level, here are the 6 things I absolutely want you to start considering: Now before you start eye-rolling at me through the screen, I really want you to consider the potential impact of raising your prices. I recently had a client who was charging a cringe-worthy $6/mo for a software that his clients were literally running their business off of. Meaning, the price to value match was severely skewed against him. If he bumped that up to a VERY reasonable $25/mo, sure there’s a chance that he’d lose about 10-15% of his clients… But the net effect would literally be game-changing for him and his company. If you do nothing else, I’d love for you to take a look at your lowest price tier and just imagine what it would look like if you 2x, or even 5x’d it? The quick table-napkin math could literally be the tipping point for your software company this year. 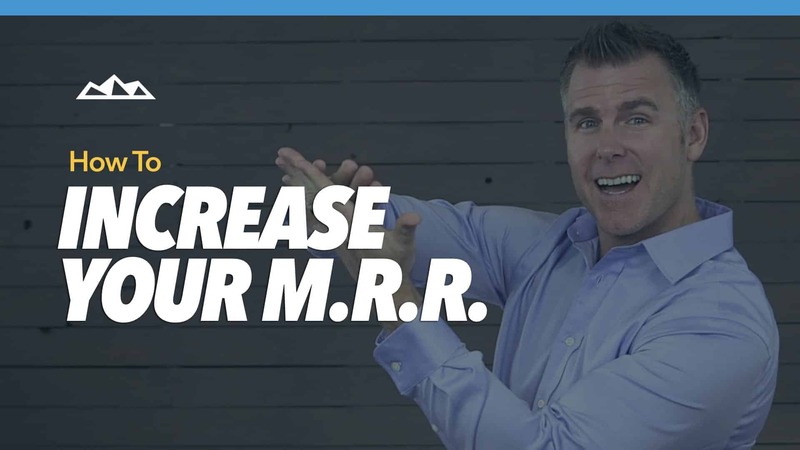 Once you’re done, watch the full episode here, and then drop me a comment letting me know ONE thing you plan to implement this year to increase your MRR.